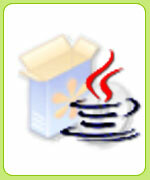 The J2EE development kit implements the Java 2 platform, Enterprise Edition. It includes several tools to help developers to prototype and test J2EE applications. J2EE offers several features that accelerate time-to-market. Software Development using open source J2EE frameworks like Hibernate, Struts, Turbine, Spring etc.